Laura Rubinstein-Salzedo performs regularly on period and modern instruments in the US, Europe, New Zealand and Asia. She has appeared as viola d’amore soloist with Juilliard415 and New York Baroque Inc., and has performed as violinist and violist under Nicholas McGegan (as principal second), Masaaki Suzuki (as violinist and principal violist), William Christie, Richard Egarr, Jordi Savall, Monica Huggett, Mark Morris, Manfredo Kraemer, and Jeffrey Thomas. A dedicated teacher, Ms. Rubinstein-Salzedo has taken the Every Child Can class, is Suzuki Book 1 trained (certificate pending), and prepares students for exams such as ASTA and Certificate of Merit. She teaches throughout the Bay Area and regularly coaches the Sacramento Youth Symphony Summer Workshop. 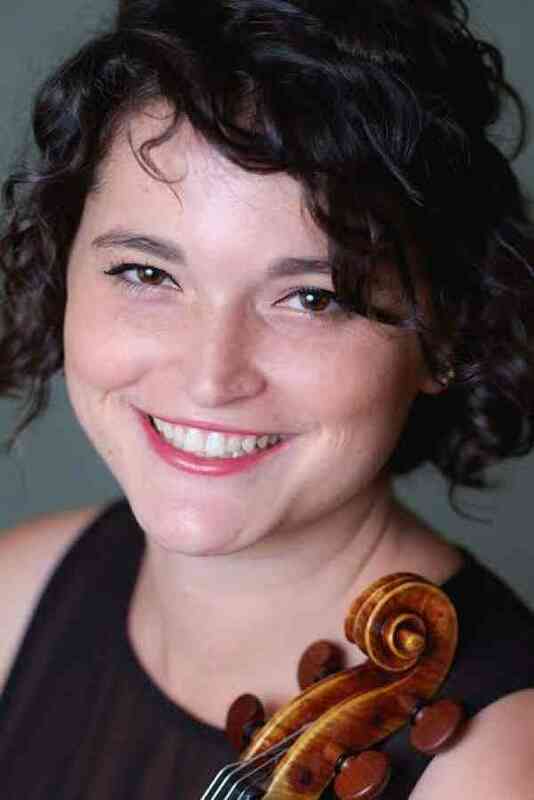 Ms. Rubinstein-Salzedo has performed with Juilliard415, New York Baroque Inc, Portland Baroque Orchestra, Grammy Nominated Seraphic Fire, Bach Collegium San Diego, Archetti Baroque Orchestra, Lyra Baroque Orchestra (under Jacques Ogg), San Jose Baroque Orchestra, San Francisco Bach Choir, UC Berkeley Chorus, and many more. Her summer festival appearances include Lake Tahoe Music Festival (as concertmaster), American Bach Soloists Festival, Tafelmusik Baroque Summer Institute, Berkeley Festival and Exhibition, and the Bear Valley Music Festival.